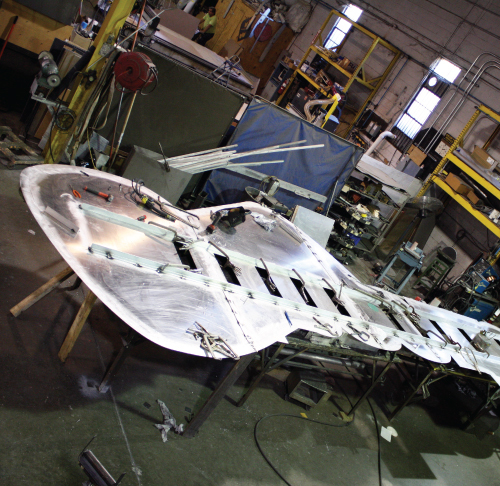 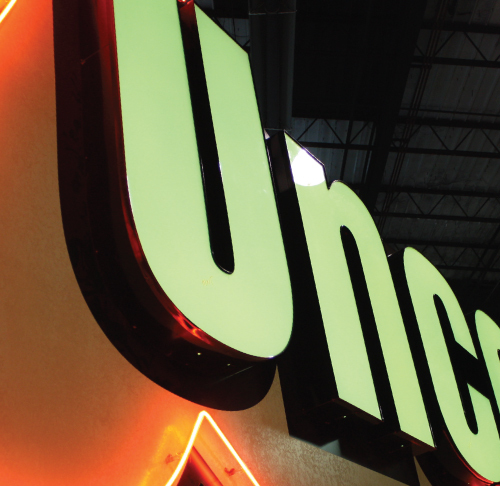 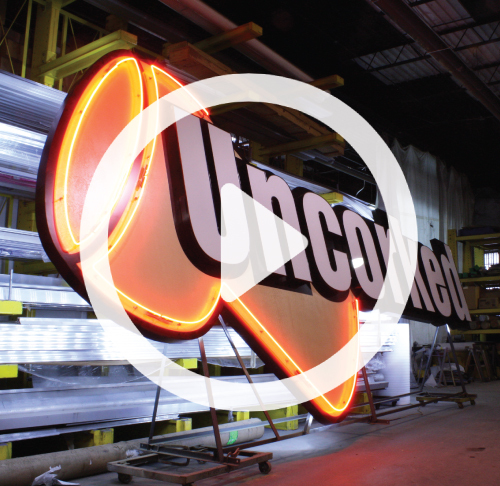 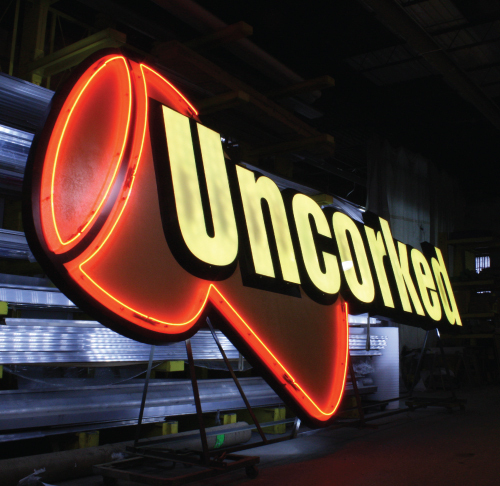 New technology lights this eye-catching sign in any color desired. 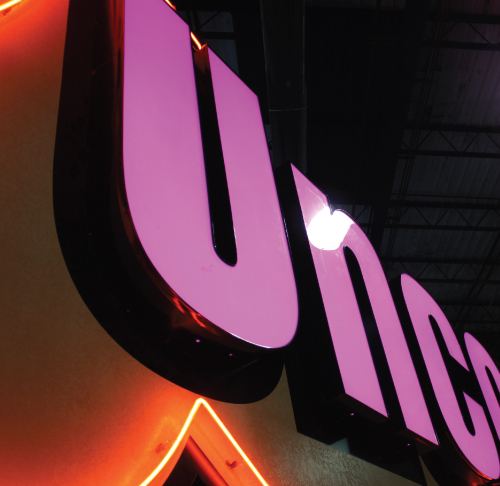 The special LED lighting system is computer controlled to combine red, green and blue (like a computer screen) to make every color in the rainbow. 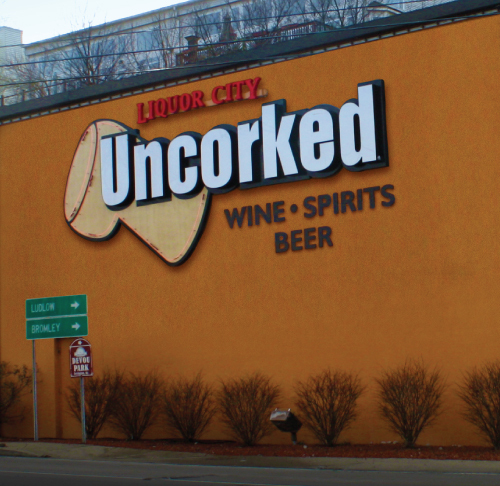 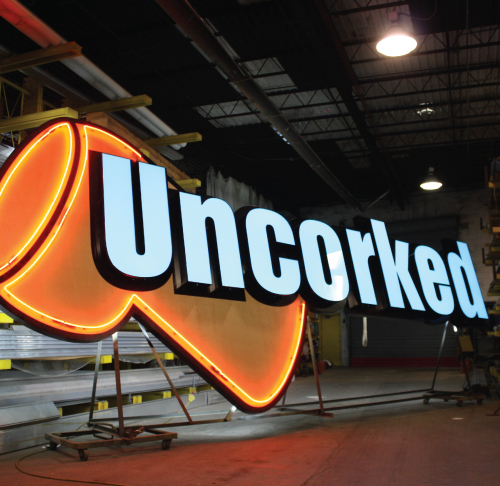 The sign is 26 feet wide and 11 feet tall and has a custom faux cork texture, detailing that adds a fine finish for viewing close up.